Parylene Engineering provides Parylene Conformal Coating Services and consultation for several industries including, industrial applications, aerospace, avionics, commercial, medical, and the defense electronics industries. Parylene Engineering was established in 1995 as a parylene service provider serving the aerospace industry. Since then, the company has grown to serve the Aerospace, Space, Medical, and commercial industry. 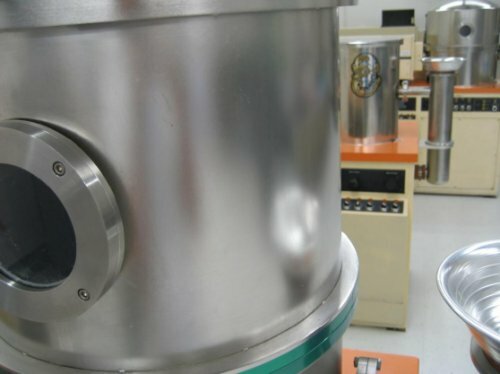 The parylene coating process involves several Mil specs including MIL-I-46058C, Typically, the parylene monomer is deposited on substrates as a gaseous molecule that polymerizes in a vacuum environment. The end result is a pin-hole'-free parylene film. The film itself possesses various mechanical, thermal, and dialectical properties. A Poly-para-Xylylene coating film formed by the chemical vapor deposition (CVD) process. The coating film is completely pinhole free and the film thickness can be uniformly controlled in the micron range to conform to any irregular shape, whether it has a sharp edge or a complicated internal surface without any thermal stress. Parylene is a conformal protective polymer coating material utilized to uniformly protect any component configuration on such diverse substrates as metal, glass, paper, resin, plastic, ceramic, ferrite and silicon. 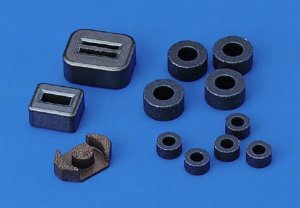 Because of its unique properties, Parylene conforms to virtually any shape, including sharp edges, crevices, points; or flat and exposed internal surfaces. Parylene provides exceptional protection for the most extreme environmental conditions. This polymer is called out as "Type XY" coating in the MIL specs such as MIL-I-46058C, and IPC-CC-830. 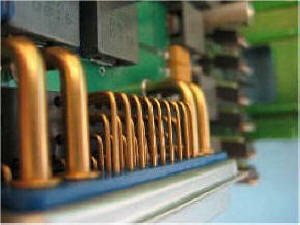 Parylene is unique as it is deposited through a vacuum deposition system, as gaseous molecules capable of providing a pin-hole free film at 3 microns thickness. This method of application yields a true conformal film complexion that contours all surfaces, exposed or hidden. Further, the thickness of the Parylene film could be very tightly controlled due to this unique method of deposition. Usages for the Parylene coating includes, implantable devices, fish tags, circuit boards (SMT, Thru-hole, or mixed technology) sonar applications, ultrasonic applications, surgical devices, and elastomers. The Parylene coating process involves changing the molecular structure of the Parylene dimer into a monomer, then depositing monomers at room temperature onto the substrate to form the polymeric chain of the Parylene film. Parylene coatings are completely conformal, of uniform thickness and pinhole free. This is achieved by a unique vapor deposition polymerization process. The advantage of this process is that the coating forms from a gaseous monomer without an intermediate liquid stage. As a result, component configurations with sharp edges, points, flat surfaces, crevices or exposed internal surfaces are coated uniformly without voids. Parylene has no curing cycle, unlike other conformal coating materials. Once deposited, it is ready to go to work. Parylene has chemical resistance similar to Teflon. It resists attack and is insoluble in all organic solvents up to iS00C and is resistant to permeation by most solvents with the exception of aromatic hydrocarbons. Since Parylene coating is a high molecular weight, linear, crystalline polymer having an all carbon backbone without any oxygen, nitrogen, or sulfur atom links in the backbone it is hydrophobic. This carbon backbone, coupled with its substantial crystallinity, makes Parylene quite stable and highly resistant to chemical attack.